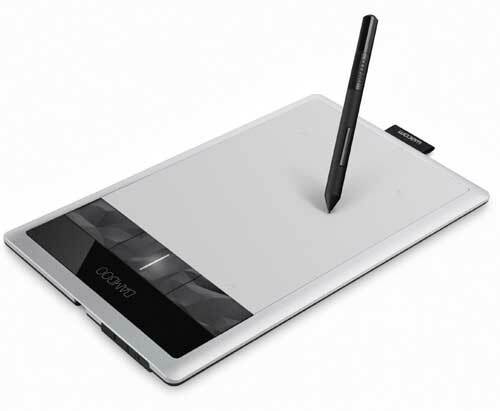 Thanks to tablets and multi-touch display technology, artistic expression has become increasingly digital over the past few years. Regardless, many creative types prefer physical tools to get the job done. That’s why airbrushes are still so popular. 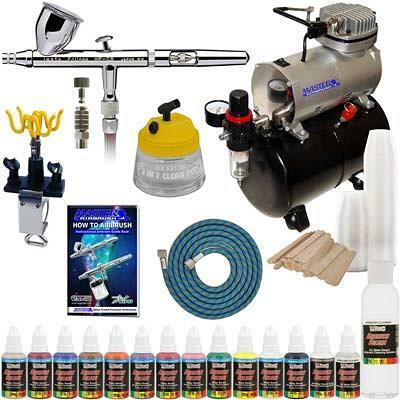 Choosing the best airbrushing compressor kit for beginners has a lot of factors to take into consideration and we look at five highly rated kits which will all do a great job. 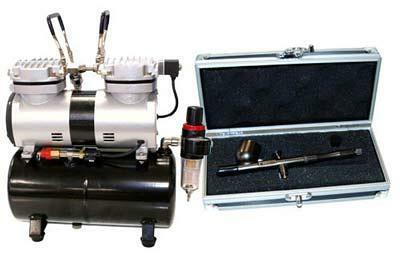 Airbrush kits that come with compressors rather than gas canisters are the preferred option for a number of reasons. In a nutshell, compressor-powered airbrushes are more convenient, cost less to own in the long run and deliver superior performance in most cases. If you’re looking for the best airbrush kits for beginners, any of the following packages should serve you well. Easily one of the best airbrush kits for beginners on the market, the Complete Professional Master Airbrush System has everything you need to get started. It boasts a G22 multi-purpose airbrush with 0.3mm, 0.35mm and 0.8mm tips, a 1/3 oz. fluid cup and a 6-foot hose. 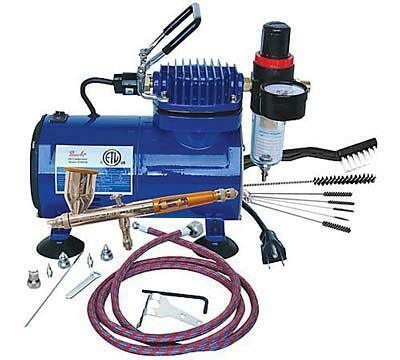 The included TC-20 compressor features a pressure regulator and two airbrush holders. The whole package comes with six bottles of acrylic paint as well as reducer and cleaner. You’ll also get a “How to Airbrush” instructional guidebook that walks you through the process of using your airbrush setup. One of the most appealing qualities of the Complete Professional Master Airbrush System is its sheer value. 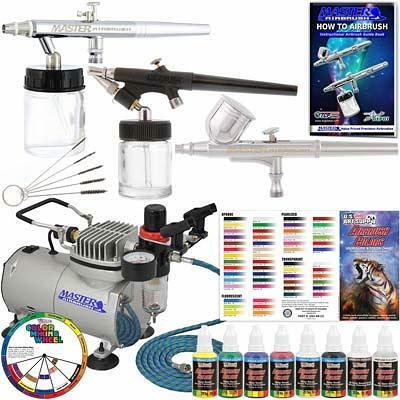 Beginner airbrush artists get everything they need to learn the ropes and produce some stunning paint jobs. 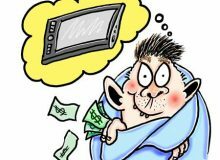 Thanks to its multiple tips, it’s ideal for everything from fine cartooning to expansive automotive body work. The quality of the hardware in general is quite impressive for an entry-level airbrush system. The only minor downside is the starter paint that comes with it. Do yourself a favor and buy some higher quality paint to get the most from this otherwise solid kit. 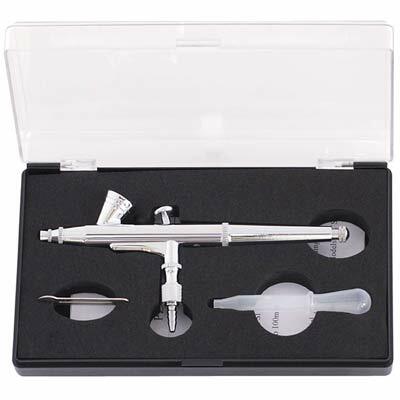 If you’re looking for a more upscale airbrush system, the Paasche TG-100D is the way to go. It comes with 0.25mm, 0.38mm and 0.66mm needles, a TG-3F airbrush, a robust D500SR compressor capable of producing 40 psi and the AC-7 cleaning kit. 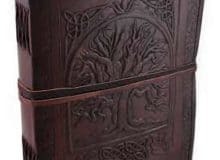 This particular brush excels at intricate detail work on any surface. Thanks to its unique fan air cap, it can also paint swaths as wide as three inches for bigger jobs. Buyers also get a “22 Airbrush Lessons” booklet that will take their game to the next level. The Paasche TG-100D package is a true steal when you consider its top-notch construction and performance. The compressor alone is worth the sticker price of the whole system and sports a number of convenient features like automatic shut-off and a moisture trap. 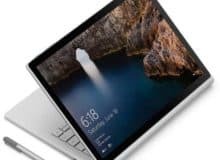 What’s most impressive is the consistently stellar results it can produce across a wide range of applications. One minor nitpick is the instruction manual for the included AC-7 cleaning kit. 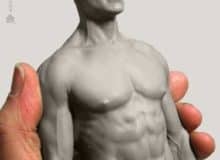 While it could be a little more comprehensive and clear, the target audience for this kit should be familiar with the basics of airbrush cleaning and maintenance. Any value-conscious buyer with limited funds should give the PointZero Airbrush Premium Dual Action Airbrush Kit a serious look. You’ll get an airbrush with a typical 0.3mm nozzle and a 7cc color cup as well as a high-quality PointZero compressor. Buyers also receive a fine 0.2mm nozzle set with a 2cc cup and a 0.8mm nozzle set with a 22cc siphon feed jar. 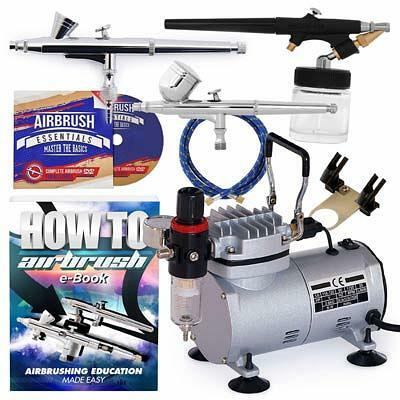 Rounding out the package is a helpful “Airbrush Essentials Master the Basics DVD” suitable for both beginners and more experienced novices alike. Long story short, this PointZero system is a superb airbrushing kit for the money. It can be used to paint models, retouch photos, create custom t-shirts, flesh out wall murals and produce automotive graphics. The gear is well made and the performance of the brush in the field is nearly as good as some models that cost twice as much. In addition, the compressor is a powerful machine that should deliver years of service if properly cared for. While this compressor is an oil-less model that gets a little toasty with prolonged use, the same criticism could be applied to nearly every budget airbrush kit on the market. Clocking in somewhere in the middle of the amateur airbrush price range, the Renegade Velocity R1V Airbrush Set is nevertheless a serious toolkit. It includes the excellent Badger R1V Renegade Velocity Gravity Feed Airbrush and a TC-20 tank-less compressor that features a highly accurate gauge for fine-tuning pressure while you work. The included 0.21mm nozzle is paired with a 1/3 oz. cup. The compressor’s diaphragm regulator works with a water trap filter to deliver precise air pressure. An automatic shutoff switch set for 60 psi virtually guarantees long motor life no matter how hard you drive it. There are essentially two compelling reasons to opt for this BADGER Renegade Velocity kit: build quality and flexibility. The powerful 0.2hp compressor is light, extremely portable and boasts a 2-year full warranty. It’s also extremely quiet when in use, cranking out a mere 59 db on average. Furthermore, the compressor’s built-in control mechanisms such as the automatic shut-off function and the moisture filter ensure that it runs like even after years of heavy use. The airbrush itself comes with a sturdy carrying case to prevent accidental damage. While this kit doesn’t ship with starter paints or brush cleaner, those items aren’t hard to source. In the eyes of many painters, IWATA airbrush kits with compressors are the cream of the airbrushing crop. The IWATA HP-CS Eclipse Airbrush Kit comes with an HP-C Plus High Performance airbrush as well as a TC-20T Airbrush-Depot tank compressor featuring a standard 6′ braided hose. 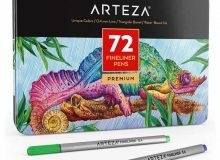 The included 0.35 nozzle can handle everything from fine detail work to big graphics simultaneously. You’ll also get the Createx 12 Popular Color Airbrush Paint Set and a 3-in-1 Airbrush Cleaning Pot with cleaning solution. 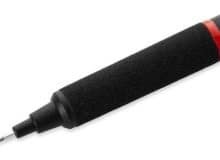 The universal holder can accommodate up to four brushes at a time. On the plus side, this kit has arguably the best air compressor for airbrushing that you’ll find in any all-in-one package. 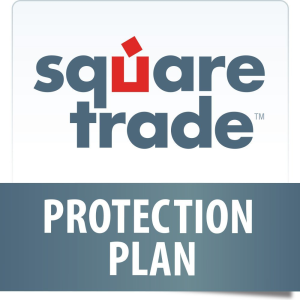 It’s protected by a 2-year warranty and features a terrific regulator, gauge and water trap filter combination for superior longevity. 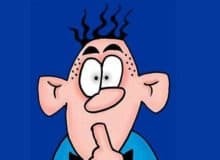 The included “How to Begin Airbrushing DVD Plus” is one of the best introductory tutorials on the market. Extra niceties like 100 1 oz. mixing cups and sticks sweeten the deal. Finally, the Airbrush Quick Disconnect feature makes cleaning fast and convenient. While the documentation that comes with this kit isn’t stellar, any novice can get the lay of the land with a little trial and error. At this point, you’re probably asking: how much is an airbrush kit that will meet my needs? These five kits prove that there’s a great airbrush system out there that can accommodate any budget. For amateurs, the Master Airbrush Complete Airbrush System and the PointZero Airbrush Premium Dual Action Airbrush Kit are solid bets. Those who are already familiar with airbrushing should opt for the IWATA HP-CS Eclipse AIRBRUSH Kit, the Paasche TG-100D or the BADGER Renegade Velocity. Fortunately, figuring out where to buy an airbrush kit isn’t difficult since all of these fine systems are available on Amazon at prices that are hard to beat.